Think you have a head for heights? 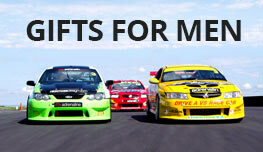 Ready to put it to the test? 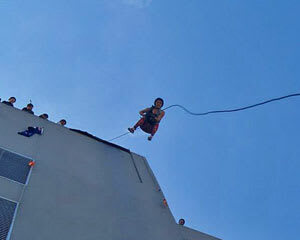 How about plunging down a sheer vertical drop with only a sturdy rope and harness keeping you from gravity’s grip? Conquer your fears and push both your mind and body to the limit with a day of abseiling. 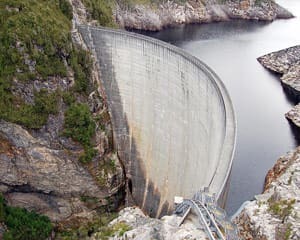 For both urban explorers and outdoors enthusiasts ready to get muddy on a canyoning adventure, there's a perfect abseiling experience to be had! An abseiling adventure doesn't require any prior experience—just a moderate level of fitness. Every abseiling or canyoning adventure begins by being kitted out with your necessary gear. 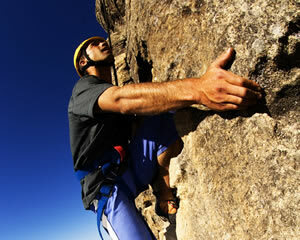 After you're strapped into a harness and helmet, your experienced guide will take you through the basic abseiling techniques. 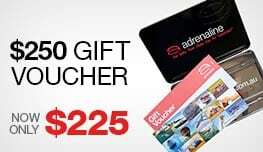 You'll learn to lean back, find your footing and abseil or rappel your way down the vertical surface. 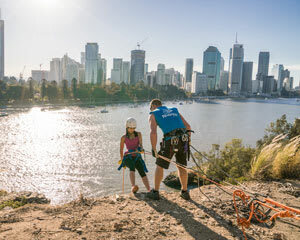 Master the basics of abseiling on the beautiful cliffs of Kangaroo Point. Watch kayakers ply the sparkling river under the Brisbane sun or wait until early evening for an exciting sunset abseiling experience as the sun goes down over the city skyline. If you're looking for more of a thrill and don't mind getting wet, try canyoning! Canyoning adventures combine the challenge of abseiling with rock climbing, water jumps, hiking and swimming for a day of non-stop thrills. 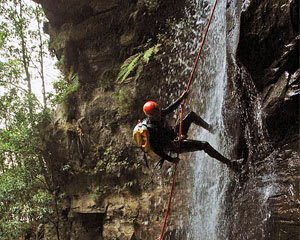 Adventure awaits just outside the Harbour City on a Canyoning Sydney tour! You can experience the rainforest up close on a South Coast canyoning adventure. 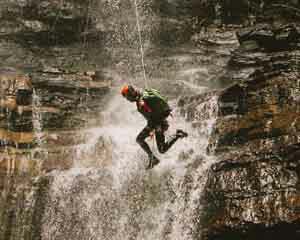 Abseil your way down waterfalls more than 30 m high, slide down natural slides and swim or wade your way down the canyon. 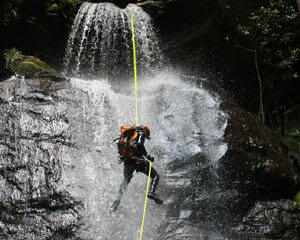 Canyoning Blue Mountains is also a thrill that awaits you! 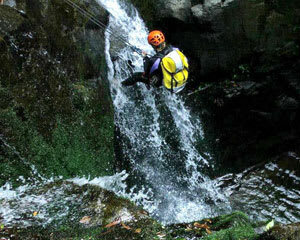 Here, plenty of options for full- and half-day adventures means there’s a perfect canyoning experience for you! Forward Abseils – Run Down a Building! 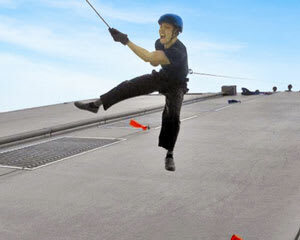 For something really different, try a forward abseil or “rap jump”! Unlike a normal abseil where you face the wall you're descending, a forward abseil sets you running face-first down the side of a building. The highly qualified staff will make sure you have a safe but heart-pounding experience as your technique improves with each run.